I should be scolded. 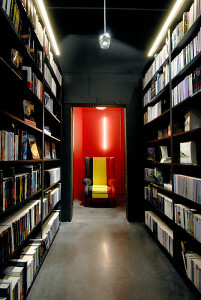 When I first came up with the idea for the “Bookstores of the World” series, I was in Brussels. 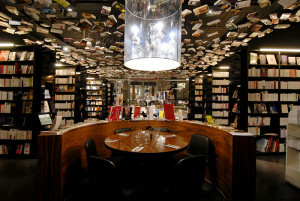 It only hit me 5 seconds ago that I have yet to review my favorite (well, one of them) bookstore in Brussels. Thanks to relational memory and the comment from Emily over at Le Petit Four,* I rediscovered COOK&BOOK! *Check her out! She’s awesome, and not just because she commented and you didn’t. 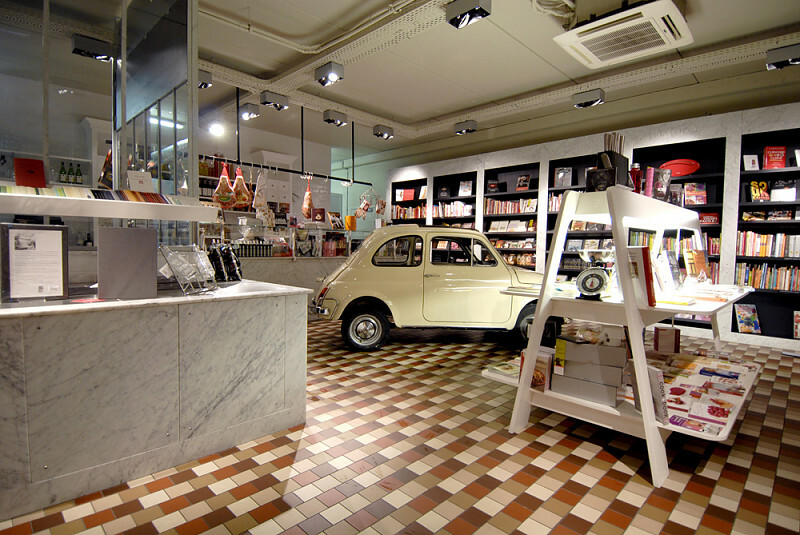 Cook&Book is heaven! 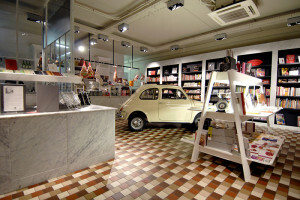 It is a complex of different thematic stores located in the Woluwe-Saint-Lambert area of Brussels. The different libraries vary from band-desinée (comic books) to music to cookbooks. 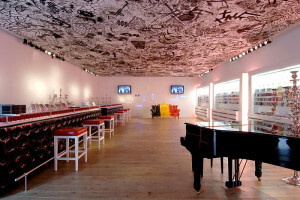 Also, each room (or store) is decorated according to its theme. The interior design is beyond belief and one could get lost admiring the decorations and completely forget about the books. The best part (yes, it gets better) is there are a variety of cafes in the stores! You can have anything, ranging from a casual light snack to full on brunch or dinner. The time I went and wandered Cook&Book, I had a Dutch test coming up and needed a place to study. I made the 30 minute trek by tram and metro from where I lived to Cook&Book, found a cozy spot in the Anglais area and devoured a cappuccino and smoke d salmon sandwich. Surprisingly, I did get some studying done. In addition, like any respectable bookstore, Cook&Book hosts a variety of events in relation to the myriad of genres they sell. If you read French, I suggest looking at their calendar to understand how varied of an experience you could have at Cook&Book. Let’s tally this up. 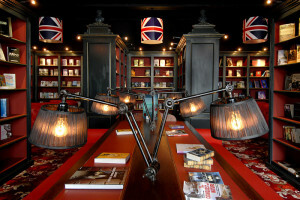 Cook&Book = Books + music + food + events = Awesomeness. 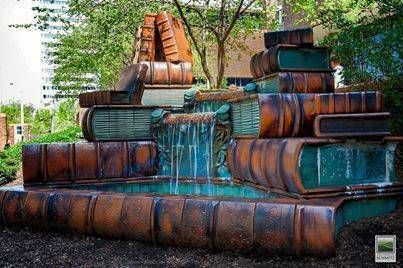 Thus, by the transitive property, I declare Cook&Book = Awesome! If you ever find yourself in Brussels, let the tourists be and head over to Cook&Book for a literary experience you’ll never forget. **All photo credit due to Cook&Book’s website. Yea, it’s pretty much what dreams are made of. The slideshow confirms the “awesome” moniker your assigned to the bookstore.